Greenhouses in home garden have dual purposes. 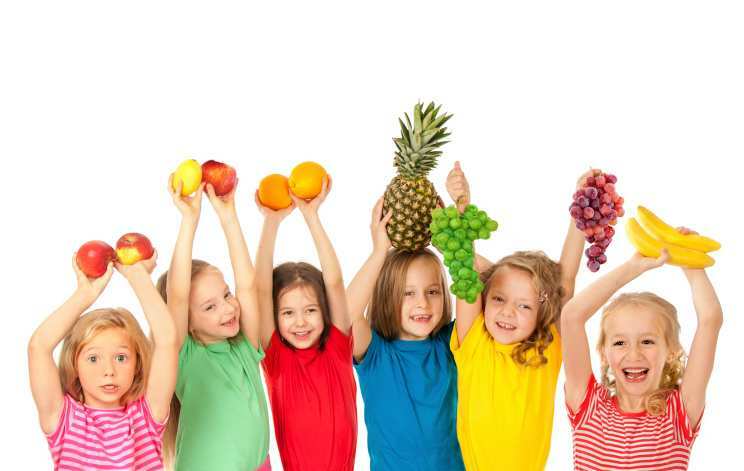 On one hand, they increase the aesthetic sense while on other hand; they provide you with a chance to have fresh and off-season organic food at home. 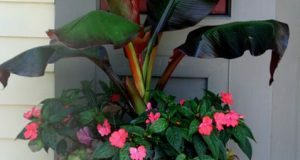 So today, I am going to discuss 5 DIY greenhouse ideas that will add scenic beauty to your home garden. 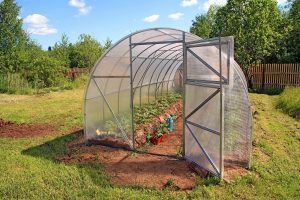 To have safe and secure vegetable gardening, I always advice my readers to build a greenhouse in the backyard or in a suitable location of home garden. A general confusion present in mind is regarding the size of greenhouse. Yes the size of the greenhouse matters, however if you are planning to build a greenhouse in home garden, the mathematics should be based on your family size. A general rule of thumb is to build a greenhouse that should feed a family of four from 20 square foot i.e. 5 square foot per family member. It should be enough to supply veggies for a whole season. A DIY greenhouse allows you to customize your greenhouse as per your requirements. To build a greenhouse, it should be kept in mind that it is quite a laborious task; however building it is fun, skill learning and hence very tactful to create. Let us now move to the objective of this post. 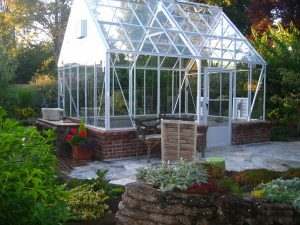 Below is a list of five different DIY greenhouse ideas that one can install easily in their home garden. 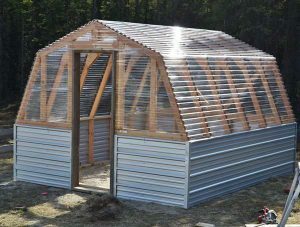 The first in the list of DIY greenhouse is the ‘Barn Greenhouse’ The Barn greenhouse in the home garden gets its name because of the shape of a barn and the appearance it carries that fit in any residence. It is mostly made with the wooden structure. You can customize it by using plastic sheet or glass for absorbing sunlight. I will prefer to go with plastic sheet. This will not only be cheap in cost, but also in case you plan to move your Barn greenhouse to other place, the cost of transfer will be minimized. Barn Greenhouse is most suitable for growing underground veggies like Carrot, Radish, Turnip, Beet, Sugar Beet etc. The Barn greenhouse usually cost around $500-700. Second in the list of DIY greenhouse is the Big Greenhouse. In urban gardening, the big greenhouse is perfect, specifically of the size 10X16 structures. The plan for it is really basic. It has a simple ‘A’ framed structure and you just have to lay beds inside of it or just plant in the ground. You will have an awesome amount of space to decide how to lay down the structure. Plus you get quite a room to grow your favorite plants and veggies. Among several DIY greenhouse ideas, the most easily homemade greenhouse is the hoop greenhouse. It has a round formation and is very simple to build. To build a greenhouse of this type in home garden, few tools are only needed but you must go according to the plan and instructions given. Most people use it in a cold frame fashion. A glow light can added to enhance its beauty. You can build this in less than $200. This is the perfect in expensive option. 4th in the list of DIY greenhouse ideas is the 50-Dollar Greenhouse. It is more than greenhouse for home garden. In fact it can e regarded as a small nursery at home. As this greenhouse is mostly built using recycled material, you have plenty of options to mold it according to your needs. 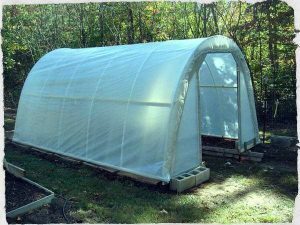 I advise my readers to 50-Dollar greenhouse at their home due to its simple yet resourceful features and options it provides you when it comes to grow organic veggies in home garden. The most important feature of this greenhouse is its less cost. So whenever you plant to build a greenhouse in home garden, go for 50 Dollar greenhouse option. 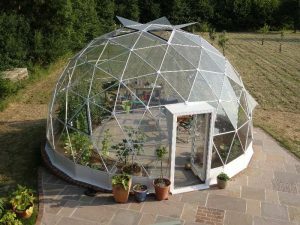 Last in the list of DIY greenhouse options is the Geo Dome greenhouse. This nursery type greenhouse helps me to remember some portion of a wilderness rec center I used to play at a recreation center as a child. It is a roundabout formed nursery and exceptionally fascinating to take a gander at. Since this nursery is a roundabout shape it improves it for withstanding high breezes. The designs and apparatus are accessible. This seems, by all accounts, to be a truly cool nursery. It is said to have the most developing space so you have plenty of options to customize your vegetable cultivation plan.